The H81 IP Phone have luxury design and HD voice quality at a competitive entry-level price, that gives perfect image to your visitors and make staffs loving to use their handset CooFone-H81. This office telephone support 2 SIP accounts and full basic features that improves business productivity and working efficiency, high return of the investment. 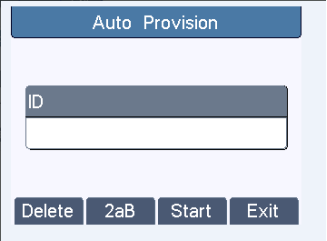 H81 office telephone enables auto-configuration with Coovox-IPPBX 3.0 firmware. Simply create all extensions, export excel file which includes extension and its random 3 digits PIN code. User just input the PIN code to activate their phoneset. Step 1: Auto detect phones' IP address in same LAN and confirm to activate them on hook. Step 2: Assign extension number to them.